Regular price O&O DiskImage 11 Pro is US$39.95 per serial license. O&O offer free full license key for O&O DiskImage 11. It not the latest but still good & powerful to backup data. On this free offer, the vendor given unique license key code to all interested users. O&O DiskImage Pro is powerful tool to create a backup of hard disk or disk partition, and offer ease restore method. 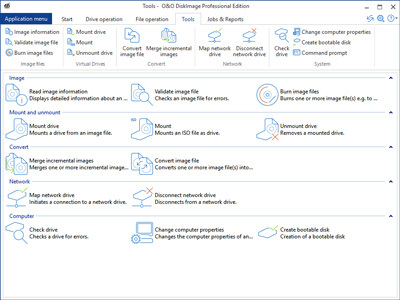 O&O DiskImage pro is designed for home users up to IT experts. The giveaway version this tools is for home users and not allowed for commercial purpose. This tools provide intuitive interface to help all user levels to use this tool with ease. O&O software doesn’t say how long this promo stay. If you are interested you can download and get the free serial key for O&O DiskImage 11, visit the giveaway page. Giveaway page O&O DiskImage 11 Pro: Visit this link! Visit the giveaway page above then fill-up the form by entering your valid email and submit the form. Wait for a seconds, the license key and download link installer will be sent to your email inbox. Download the backup tool and use the activation code to remove trial. Unfortunately the installer language on this giveaway is German version. To download O&O DiskImage 11 English version, click this link. The license key is also work on the other language versions. The version given on this free offer is not the latest. O&O has been released new version O&O DiskImage 12. It having better features & interface. For The software is available with discount up to 70% using O&O DiskImage Coupon. Alternative giveaway link. Use it if the link above does not work. Get free copy O&O DiskImage for free.